The Western Australian Science Fiction Foundation (WASFF), organisers of the 2017 Aurealis Awards, are delighted to announce the finalists for the Awards. Winners of the 2017 Aurealis Awards and the Convenors’ Award for Excellence will be announced at the Aurealis Awards ceremony during the Easter long weekend as part of the Swancon convention at the Pan Pacific hotel, Perth. Details of the event and a link to the online ticketing options will be available soon. “Oona Underground”, Lili Wilkinson (Begin, End, Begin: A #LoveOzYA Anthology, HarperCollins Australia). It may help people figure out what might be eligible in future. It is very important to note that this list is NOT a shortlist – it is simply a list of the eligible entries we received for the Award this year (please note also that these can be self-nominated). The convenors consider all eligible entries in deciding the winner, but there is no shortlist generated, and only the winner will be presented at the ceremony. The Convenors’ Award for Excellence is awarded at the discretion of the convenors for a particular achievement in speculative fiction or related areas in that year that cannot otherwise by judged for the Aurealis Awards. This award can be given to a work of non-fiction, artwork, film, television, electronic or multimedia work, or one that brings credit or attention to the speculative fiction genres. John, a single father, inherits a collection of arcane objects from his mysterious relative named Mo. Over time, John and his daughter Charlotte begin to realise that these objects have unusual properties: the more they are exposed to them, the more their reality and memories appear to change. All The Delicate Duplicates is a work of fiction that narratively toys with the concept of time, offering a series of windows into the lives of its characters. Through a PC game and a web-based short story, All The Delicate Duplicates constructs a glimpsing storyworld where perceptions are stretched beyond the ‘real’ as you think you know it – exploring places where time no longer feels stable or linear. BATTLESTAR GALACTICA Deadlock is a turn-based strategy war game based on the hit SyFy television series, Battlestar Galactica. It was written and developed by Black Lab Games, a small development team in Perth, Western Australia, and published by international wargame specialists Slitherine Software UK. Deadlock tells a brand new canonical story set during the First Cylon War. We worked with NBC Universal to create an experience that is authentic and true to the existing Battlestar Galactica lore, while exploring and carving out our own place inside of the epic timeline. We have worked hard to make sure the visuals, the audio, the storytelling and the gameplay are all authentic to the franchise, from the shaky-cam of the full battle replays, to the energetic soundtrack scored by local composer, Ash Gibson Greig. And Their Souls Were Eaten” is a steampunk fantasy tale set in 1830s Europe. It is an excellent immersive adventure which requires a digital format to host intricate details that change with the reader’s choices. The (unnamed and ungendered) main character must come to terms with their own path, make allies, and develop their own unique magic in order to stop the rise of inhuman soulless monsters. This work of non-fiction spotlights the author’s fascination with genre bending. Crossing genre is blending writings, subverting the reader’s expectations. It is writing differently, stepping out of your comfort zone. Genre bending allows experimenting with unfamiliar genres. In highlighting exemplars in the works of Douglas Adams, Margaret Atwood, Harlan Ellison, Ursula Le Guin, J.R.R. Tolkien, H.G.Wells and William Golding, some of whom refuse to be labelled genre writers, the article casts a gaze on inspirational authors who integrate the literary into their speculative fiction works. Overall, this article on crossing genre offers stimulus to experimental authors who seek to deviate from genre writing today. In addition to editing, Earl Grey Editing serves the Australian SFF community in a number of ways. Through the blog at Earl Grey Editing, Elizabeth regularly reviews work of Australian speculative fiction. Fornightly, she also gathers together news about awards, competitions, diversity and the SFF community. These posts assist in boosting the profile of Australian SFF and have been featured on Hugo-Award-winning blogs like File 770 and Lady Business. Luminescent Threads is a thorough and broad presentation of the legacy and impact of Octavia E Butler on the SF field, on Black writers and other writers of colour, and on female writers. In parts academic and others deeply emotional, Luminescent Threads is a significant contribution to the non fiction of our genre. I’ve always had an interest in neuroscience because of my epilepsy, and wanted to examine the mystery of the brain, the idea of the cognitive ‘veto’ of free will, and literature which explores scientific experiments concerning the enhancement and anomalies of the brain. I explore Mary Shelly’s ‘Frankenstein,’ Isobelle Carmody’s ‘Obernewtyn,’ and ‘Slan’ by A.W. van Vogt. Eugen Bacon features two female voices in New Writers Unearthed for Andromeda Spaceways Magazine Issue #69 (December 2017). In the articles Bacon brings attention to Maddison Stoff, a transgender, autistic writer whose works are off-the-wall and entertaining while addressing real-world political or philosophical ideas, and to Faith Mudge, a writer with a penchant for queer writing and a passion for fantasy, folk tales and mythology. In her interview of these two artists, Bacon illuminates female writers of speculative fiction and exposes insights on approaches to writing from a gender perspective. Matthew has been creating engaging non-fiction articles to help explore and expand the grimdark SFF sub-genre. He’s a young, intelligent, and generous young South Australian, always keen to delve deep into what makes our sub-genre so appealing to so many fans. Matthew engages experts in other fields to create stronger non-fiction, and has recently teamed up with another young South Australian, Victoria Bridgland, to match his writing skill (he’s the Program Assistant at the SA Writer’s Centre) and passion for the grimdark sub-genre to her studies in psychology (Bachelor of Psychology with Honours, Flinders University) to explore the psychology of those who enjoy grimdark fiction. Matthew is also currently working on a journalistic piece to explore the new relationship between self publishers, agents, and traditional publishers being created by author Mark Lawrence’s Self Published Fantasy Blog Off, which is creating new ways for fantasy authors (primarily dark and grimdark) to connect their works with traditional publishers, bloggers, and larger audiences. For such a young man, Matt’s infectious passion and ability is an inspiration. His work is engaging, insightful, and forward-looking. This young man is going to great things in this industry, built on an already glowing and growing foundation of work. This work of non-fiction brings to fore the prolific work of renowned American speculative fiction writer Ray Bradbury, who wrote across genres. Casting a spotlight on the inexhaustible writer and his infinite passion, notwithstanding his gradual rise to fame, the article heightens awareness of cross genre writing and non-conformism, themes that thrived in Bradbury’s notoriety. In highlighting how Bradbury broke from tradition, from established genre convention, to become a revolutionary author whose speculative fiction re-examined classical humanist themes, the article promotes the power of storytelling, ‘damn the rules, as Bradbury would put it. The article pays attention to the inexhaustible writer and his infinite passion, thus offering Bradbury’s sense of joy in his approach to speculative fiction as his grandest bequest to experimental authors who seek to deviate from genre writing today. This work has been nominated because it has been soley filmed, edited, lighting and soundtrack all done by one person. She began doing it when she was 16 years and completed it at 17 years old. The clip accurately and cleverly depicts key themes in the book and emphasises metaphors used to depict emotional content of speculative fiction. Mark R. Healy is the Bestselling author of the ‘Distant Suns’ series and to date has published ten novels, as well as numerous short stories. He is also known as the creator of the sci-fi audio project ‘Hibernal’. Together with collaborator Rowan Salt, they have released four acclaimed albums. Hibernal combines elements of audiobooks, progressive rock and cinema to create a unique experience for the listener. With a strong focus on storytelling and atmosphere, Hibernal interweaves spoken word with instrumental music pieces to tell a compelling storyline that unfolds throughout the course of the album. Each Hibernal album features an original sci-fi story written by Mark and edited by Rowan. Mark and Rowan compose, record and produce the score; audition and direct the professional voice talent; develop sound effects and atmospherics to embellish the narrative; and coordinate associated album artwork. On January 12, 2017, Hibernal released ‘The Dark of the City’, a tale that revolves around a cop who undertakes a relentless search for the creature that killed her partner. The album has been lauded as Hibernal’s most accomplished work to date. A collection of non-fiction essays combining personal memoir with pop culture and science fictional themes. Keely Van Order was asked to provide artwork (internal and cover) and cover design for Kaaron Warren’s novel, The Grief Hole. It became evident early in this professional relationship that she wanted to capture the spirit and essence of Kaaron’s work to a very deep degree, and spent hours with Kaaron, and produced numerous alternative illustrations, variations of existing, and dozens of ‘mood illustrations’. Not only did this give us the enviable task of choosing among many illustrations for the six that would be published in The Grief Hole, but their insightful quality significantly enhanced Kaaron’s work. It did not take me long to decide to publish Keely’s journey – not just the illustrations. I wanted it in a large, hardback format, with approximately 75 high print quality pages. Nick Stathopoulos, award winning artist, was so taken by this project that he agreed to write an introduction, emphasising that a ‘journey book’ such as Keely’s, is a rare glimpse into the artistic process. Keely’s book isn’t just a set of wonderful, creepy illustrations, and a journal of Keely’s journey. It is also a unique insight into Kaaron Warren’s novel, and deservedly should be considered a ‘sketchbook companion’ to Kaaron Warren’s novel. The guide aims to draw attention to honing SFF genre works using real-life examples from the mentorship and Isobelle Carmody’s razor sharp storytelling skills. The primary audience being emerging speculative fiction authors who have had dwindling opportunities to refine their skills (due to the cancelling of intensive workshops such as Clarion South) and hence get publication with polished works. Emily Craven details the lessons she learnt during her twelve-month mentorship with award-winning author Isobelle Carmody. Emily has included dozens of examples of her original passages, along with Isobelle’s insightful comments. An award-winning publisher and author in her own right, Emily simplifies and demystifies the complexities of writing and editing your novel. This 2,500 word article, published in The Atlantic at the end of February this year, reviews Neil Gaiman’s NORSE MYTHOLOGY while also engaging with some of the controversies surrounding the publication of this book (e.g. cultural appropriation) and providing a thorough but accessible overview of the Old Norse sagas, myths, and the history that inspired Gaiman’s work. This piece weds discussions of historical research, popular culture, and mythology with a fair review of a highly-anticipated new book. In doing so, it succinctly tackles a few giant subjects in the field of speculative fiction – Gaiman, stories about Norse gods, and literary criticism – all in one very readable article. The Atlantic magazine has a long and prestigious history (it has been published in the United States since 1857); the print edition has over 500,000 subscribers, and the online edition several times that many readers. ‘The Politics of Retelling NORSE MYTHOLOGY’ was published late on a Friday night (Australian time) and in less than two days, it had been shared over 6,000 times on Facebook alone (Neil Gaiman even shared it himself, and had very nice things to say about it!). My article explores the pursuit of pleasure using Clive Barker’s ‘The Hellbound Heart’, and HBO’s ‘Westworld’, ‘Lights Out In Wonderland’ by DBC Pierre – contrasting the texts against philosophical Epicureanism and John Stuart Mill’s Utilitarianism. The aim is to explore hedonism through a philosophical viewpoint in a contemporary, educational way. 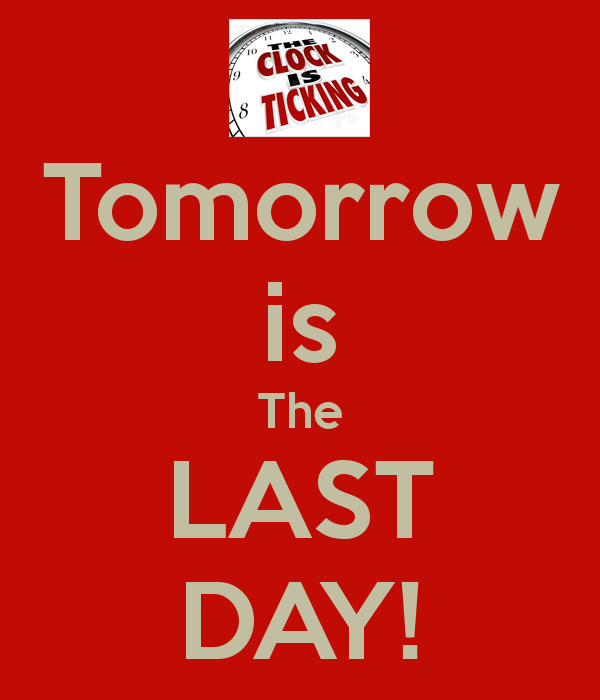 LAST DAY TO ENTER THE 2017 AUREALIS AWARDS! 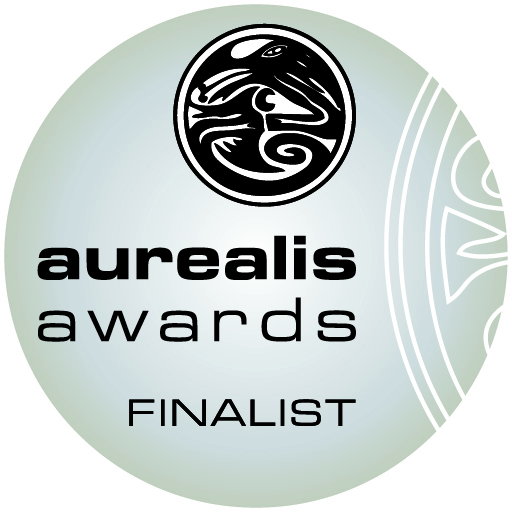 Are your entries in for the Aurealis Awards? It’s nearly time – are your entries in? 4 days left & entry list update! There are just FOUR (4) days left until entries close for the 2017 Aurealis Awards. All Australian work published for the first time between January 1, 2017 and December 31, 2017, must be entered via the online form by midnight, Thursday December 7 to be considered. Do not miss your chance! Check the updated entries list and make sure that you or your publisher has entered your eligible work by the looming deadline!